Review : this book was a perfect Christmas read for me this book is about Julia and her grumpy neighbor to get this job Julia needs to write a popular blog so her best friend suggests that she kill him with kindness so up until Christmas she kills him with kindness until they start to get along and more than she though she actually likes the guy but then he finds out the blog and is hurt and mad and won't talk to her . 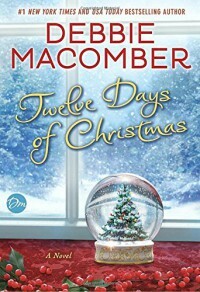 she ends up inviting his grandfather over for Christmas dinner and he ends up having to go to the hospital so Julia comes along and they make up this book just is a perfect Christmas read. He rarely allowed anyone to get close, and for good reason. It seemed every time he did, he regretted it. Cain Maddox, you have a sense of humor. Merry Christmas, Cain.” He held her gaze and then muttered, “Bah humbug. Congratulations, sweetheart.” Sweetheart? She froze, her breath trapped in her lungs. “Did you just call me sweetheart?” “Did I?